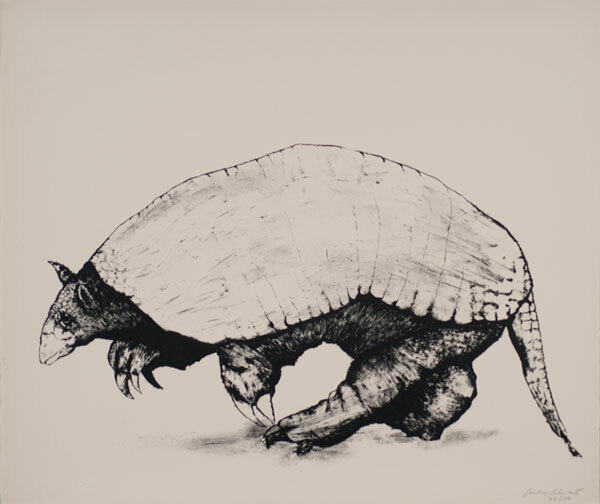 Aubrey Schwartz, Armadillo (A Bestiary Portfolio), 1962, lithograph on paper, 14 x 17 inches. Gift of Leo Monahan, 2009.05.03.61A. People, Places + Animals: Students explore two-dimensional and three-dimensional people, animals, and the places they live using paint, pastels, collage, and more to create a menagerie of colorful critters.